Virtually any list chronicling the finest food cities on the planet will invariably include Chicago. 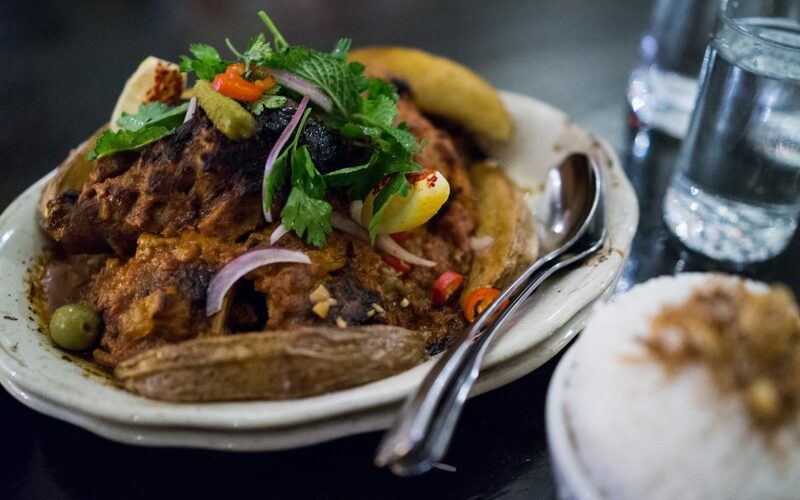 With its incredible variety of choices, from an assortment of ethnic food establishments to a multitude of James Beard Award-winning restaurants, the Windy City is a world-class destination for cuisine lovers. What is less evident though is the myriad of smaller cities outside of Chicago and across Illinois that also offer fabulous dishes, making the Land of Lincoln a road trip destination for all sorts of cuisine lovers. 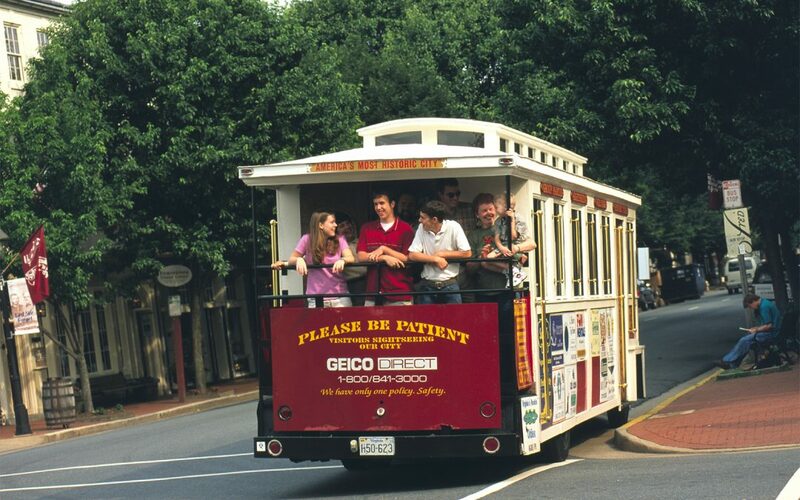 Here are some enticing locales worth hopping in a car for. 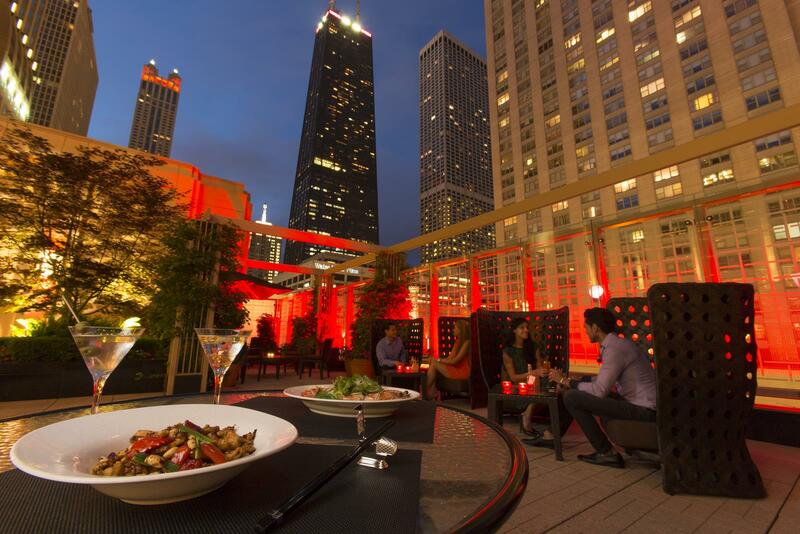 Chicago is renowned for numerous culinary creations, from its excellent array of Italian Beef shops to its world-class steakhouses and Michelin Bib Gourmand-Award winning restaurants and chefs. Another addition to that list, of course, is deep dish pizza. And few places can match Lou Malnati’s Pizzeria, which serves a legendary pizza in 53 locations across the Chicagoland area. Lou’s opened its first restaurant in 1971 and since then has been serving its deep-dish creations to generations of satisfied diners. 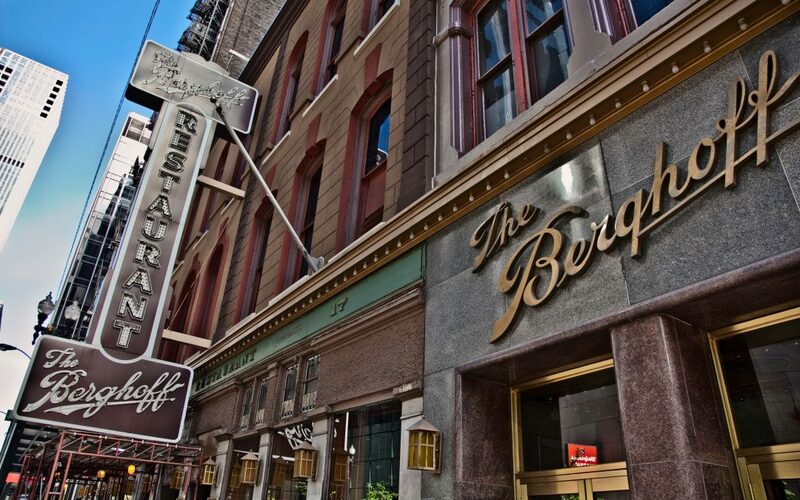 Diners seeking a classic experience can visit The Berghoff Restaurant in downtown Chicago. 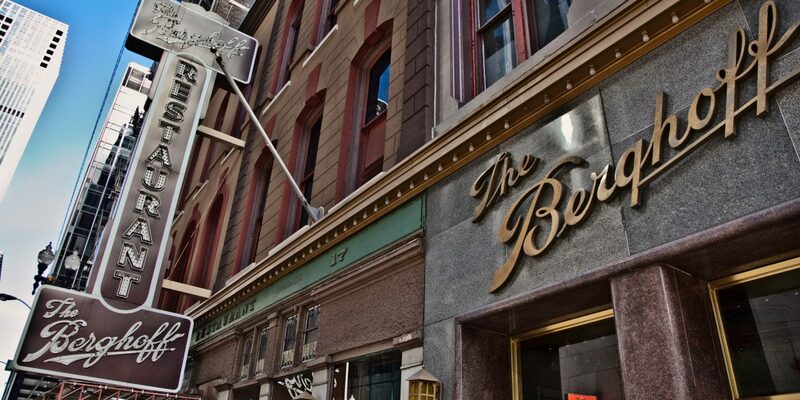 The Berghoff opened in 1898 and today serves traditional German cuisine and steins of beer in an Old-World setting. One hundred percent family owned and operated for more than a century, The Berghoff’s landmark building is filled with Chicago mementos and artifacts. For dinner, groups can enjoy exotic cocktails and Latin-inspired global cuisine at Carnivale, which offers shareable portions and has tables that can seat up to 16. Carnivale also has a lively atmosphere that will entertain any group with performances from musicians, bands, DJs, dancers and even aerialists. Entering its fourth generation of family baking, Kruta Bakery opened in 1919 in East St. Louis before moving to the Southern Illinois city of Collinsville in 1974. 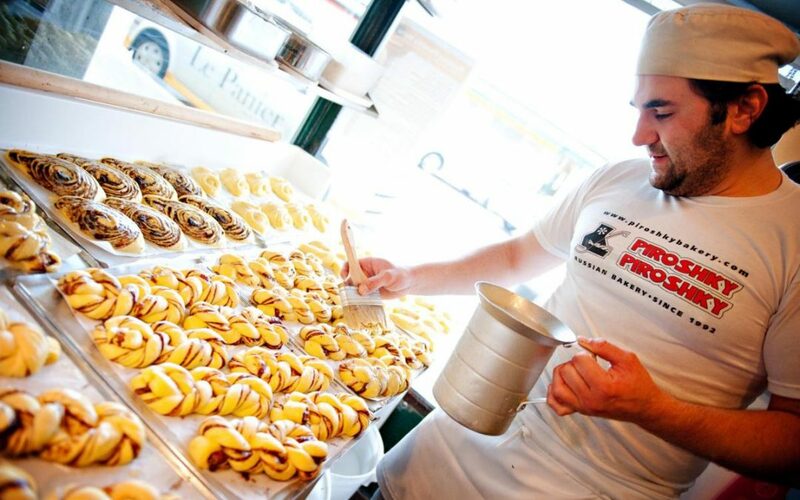 The bakery still uses some of the same recipes Frank Kruta brought with him from Eastern Europe almost a century ago, including their signature Stollen pastries, breads, cakes and Danish rolls. Firefly Grill & Restaurant in Effingham, three hours south of Chicago, goes to extraordinary lengths to make its customers feel at home. Firefly’s founders wanted their restaurant to feel more like an experience than merely a dining establishment, and did just that to the point Bon Appetit magazine ranked it among the nation’s most eco-friendly restaurants. Firefly’s kitchen was arranged as an expedition for customers to see all of the work that goes into creating the dishes and guests can wander the building and observe an organic farm that supplies most of the dishes on the menu. Located in the lovely northwestern city of Galena, Galena Cellars offers its visitors the chance to relax among acres of rolling farmland while sampling 40 wine varieties in three tasting rooms. 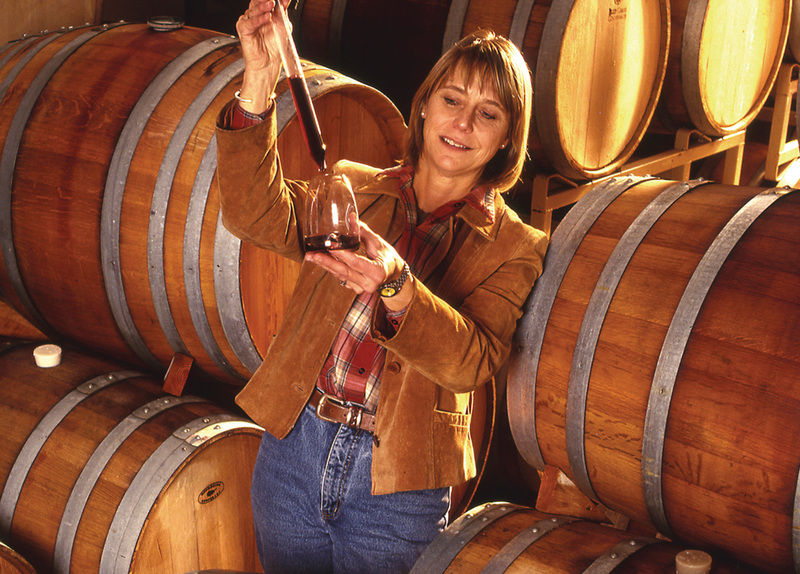 Groups can take a narrated walking vineyard tour and learn how Galena Cellars wine is made, savor a wine tasting at both the downtown location and at the vineyard, or spend time on its wrap-around deck with a favorite glass of wine in hand. All private events are hosted by a knowledgeable Tasting Room associate that teaches guests how to drink wine for a superior tasting experience. 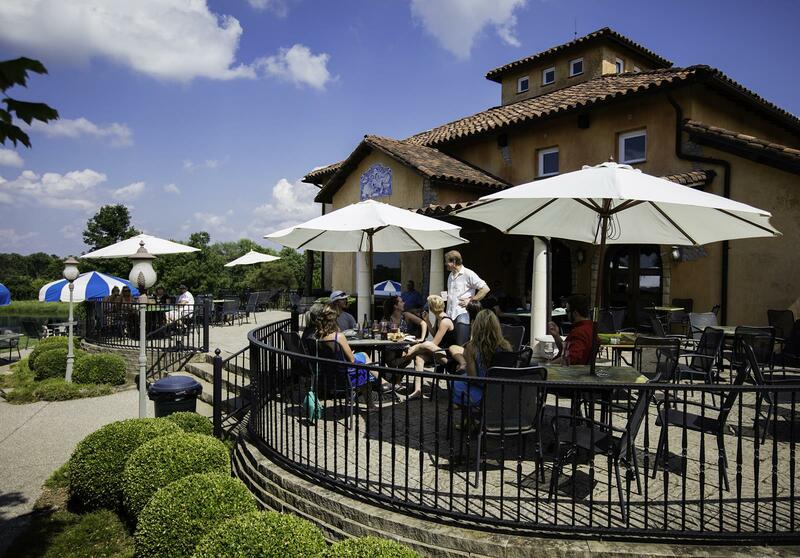 Anchoring the eastern end of the Shawnee Hills Wine Trail in Southern Illinois, Blue Sky Vineyard offers award-winning Illinois wines, classical Tuscan style and magnificent views of the Shawnee National Forest. 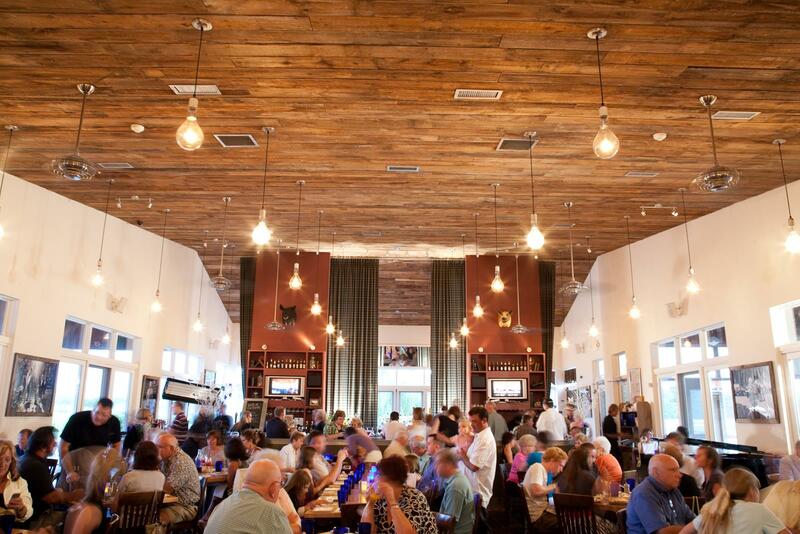 Built with Tuscan-inspired adornments including stucco walls and Portuguese tiles, Blue Sky complements its wine with hearty sandwiches, soups, pizzas, snacks and beer. Visitors can savor its extensive indoor seating area and two charming outdoor terraces that overlook its vineyard and rolling countryside. Groups looking to take a road trip to a unique location can travel to tiny Martinsville in Southern Illinois, a town with a population of two that also happens to serve one of the best burgers in the country: The Moonburger. This no-frills burger is found at the venerable Moonshine Store, a general store that serves the burger until 12:30 p.m., when the grill is promptly shut off. Owners Helen and Roy Tuttle bought the Moonshine Store in 1982, and since then, have seen visitors from all 50 states and around the world and their burger was even featured on the CBS Sunday Morning show. For generations, the Quad Cities has been home to an old-fashioned ice cream parlor that dispenses homemade ice cream, possesses a massive selection of candy and features rows of handcrafted mahogany booths for families to relax. Now in its fourth generation, Lagomarcino’s (which opened in 1908) has been making chocolates, candy and ice cream for more than a century. The venerable shop is one of the only soda fountain confectionaries left in the country and even today, its confections are made in the original copper kettle kitchen in its original Moline location. Illinois’ barbecuing scene grows more impressive with each passing year, and one major reason why is 17th Street Barbecue in the Southern Illinois town of Murphysboro. Pitmaster Mike Mills has been branded “The Legend” on the barbecue circuit as he is a four-time barbecue world champion and was inducted into the Barbecue Hall of Fame in 2010. Thus, it’s no surprise his 17th Street establishment has also received numerous accolades from publications across the country for its baby back ribs that have been dubbed “the filet mignon of barbecue.” Smoked over apple and cherrywood, as opposed to the traditional hickory wood, giving it a distinct flavor, the ribs are served with Mills’ signature Magic Dust, a complex spice rub, and coated with his apple-packed barbecue sauce. 17th Street Barbecue has earned numerous awards including being named one of the 101 Best Restaurants in America by the Daily Meal, the Best Ribs in the U.S. by Bon Appetit magazine and one of the country’s Top 10 Extraordinary Ribs by the Huffington Post. The state capital of Illinois, Springfield is a bustling town filled with government activity. It is also the city that serves a dish rarely found anywhere else: The horseshoe. An open-faced sandwich that consists of thick-sliced toasted bread, a hamburger patty, copious amounts of French fries and is coated in a rich cheese sauce, the horseshoe is a delicacy that Springfield residents relish. Springfield has a multitude of establishments that serve the horseshoe, including D’Arcy’s Pint, a cozy, neighborhoodstyle pub that features authentic Irish fare and traditional American classics alongside a healthy beer selection. And, of course, it serves a variety of horseshoes, including those with beef, ham, corned beef, turkey and bacon. Those seeking an old-fashioned hot dog in Springfield will find a delicious option at the Cozy Dog Drive In, which has been serving corn dogs on a stick since 1946. In fact, Cozy Dog is credited with inventing the deliciousdeep-fried dog in its current incarnation. 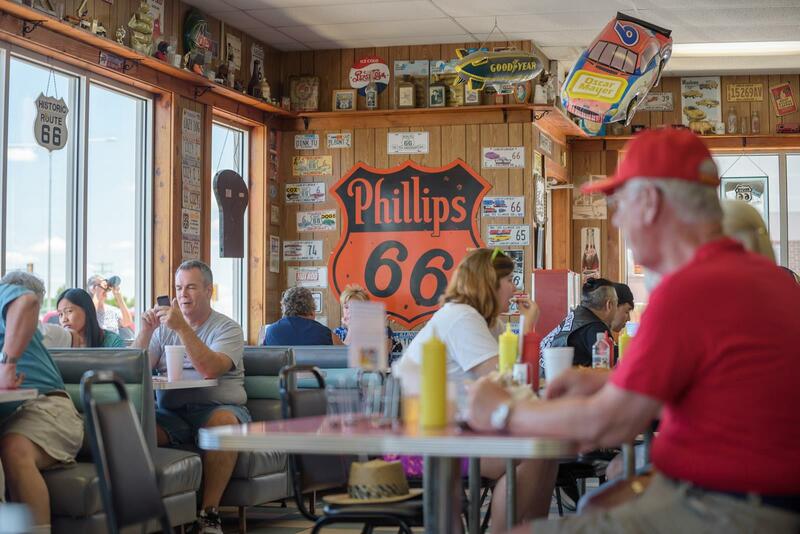 The restaurant’s location on Route 66 and its massive amount of memorabilia make it a popular destination for hungry road-trippers.